Looking great goofy. The bumper is amazing!! Another Pepper White Owner here!!! Best colour around! Hope to spot you soon! Those cars are parked very very close on the road behind yours husband! I have a PW MINI! Best colour, especially when it has pink decals! Yes PINK!! It's the BEST!!! I've seen you around I'm certain of it - I recognise your number plate! Now put a photo of each car in the first post - I had too much time on my hands this afternoon. I will get some side shots of the car up soonish! Yup, I finished an assignment this morning. I'm now going to be twiddling my thumbs until next Friday. 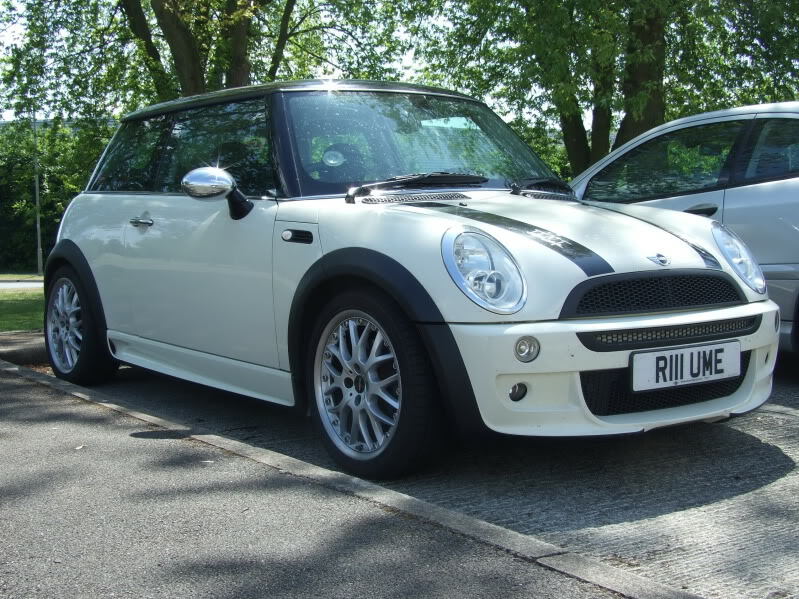 As you might have seen I will be a VERY proud owner of a pepper white MINI soon. I have already ordered the black grill surrounds. Can anyone give me any links or places to buy further black items for my pepper white.